Here’s an overview of the current accomplishments of the project, and where I’d like this project to go for the next year and beyond. Made a lot of emoji, both Unicode Standard and not Unicode Standard. Nearly reached half of all planned Unicode Standard emoji (~46%). Made a sizeable website to promote the project with easy download and usage instructions for a variety of situations and apps. Made shortcode and codepoint download packages available. Started prototypes for new colour modifiers, as well as morphology modifiers. Made an interactive, automatically-updating demo page so people can see the entire range of emoji and play with the new modifiers for themselves. 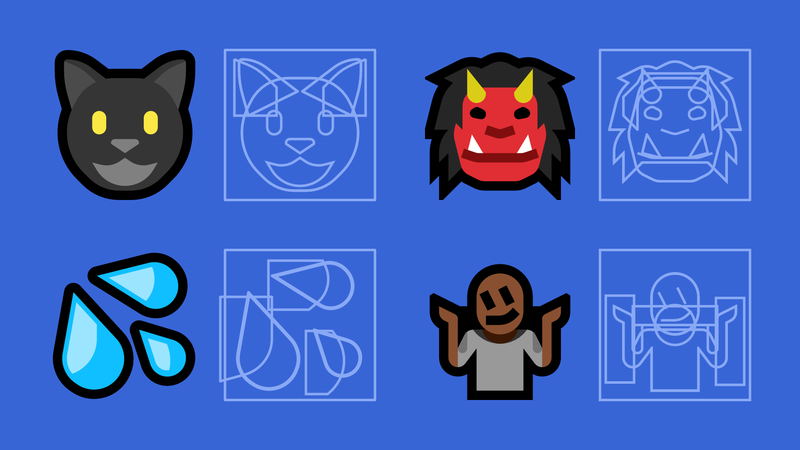 Made prototypes for non-Unicode animal and nonhuman emoji. Made merch available for people to enjoy. See if we can create emoji fonts and a crude web page-based emoji picker so early adopters can start using Mutant Standard emoji anywhere. Make lots more gay stuff (even more flags and symbols!) and furry stuff (like hoof hands and a concrete set of colour modifiers). Kickstart better merch that’s sold and produced locally (like the concepts for the small sticker sheets I’ve been sharing around!) rather than using external providers. Try to promote the project more so it can grow. Start slowly building up a Private Use Area codepoint standard, clearly written and published on the Mutant Standard site, that anyone else can use if they wish. Open source Orxporter so other people can use it. Provide text descriptions for emoji (where possible).